At the university's badminton club's freshmen welcome party, everyone is scared stiff when the scary-looking Tougo introduces himself. 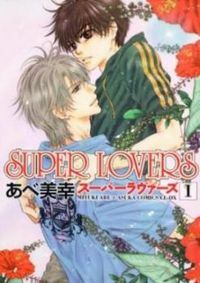 The fearless (or maybe just clueless) freshmen Haruka ends up sharing a taxi home with Tougo... and while everyone else trembles in fear before him, Haruka finds him handsome. 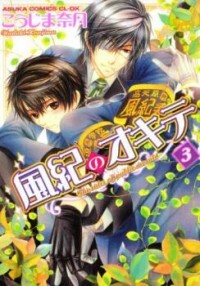 Kirishima “Maa-chan” Masao and Kurokawa “Tai-chan” Taisuke have been friends since they were little—both looking out for each other, but when Maa-chan catches his friend being assaulted by a teacher, he can’t help but blame himself for always thinking and never acting on his desire to protect his friend. A story about a guy who has to live with his deadbeat brother and his sister's children. Every night, strange happenings visit the residents of shared pension and cafe 'Tsukishiro'. One evening, the main character Touya saved Yuzuriha, and there's something about the mysterious beauty that makes him feel nostalgic. Yuzuriha asks him "Do you believe that there are beings from another world?" From Morimoto Shuu, a lovable story of living together! From Osuwari Team: In an organization of professional killers called Thanatos, there exists an elite assassin. Fighting for the ranking of No. 1, the curtain rises on a battle fought with blood over blood!! From Storm in Heaven: Leon is a pure blood vampire, able to suppress his instinctual desire for blood and live amongst humans due to his deterrent, Noah. Bearing a seal that complements Leon's, Noah holds Leon's power in check. However, Noah's own powers are oddly unstable. This is their story. 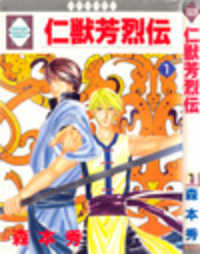 Kurosaki Sou is a 16 year old who summons a devil to take his virginity. He hopes for a devil with flaming red hair, large horns, and black wings. He gets exactly what he wishes for, although he forgets something else rather important. Now he’s forced to live with this devil and has to think of a way to get rid of it, and most importantly – survive its lust.